Before scientists found the cure, people thought love was a good thing. They didn’t understand that once love – the deliria – blooms in your blood, there is no escaping its hold. Things are different now. Scientists are able to eradicate love, and the governments demands that all citizens receive the cure upon turning eighteen. Lena Holoway has always looked forward to the day when she’ll be cured. A life without love is a life without pain: safe, measured, predictable, and happy. 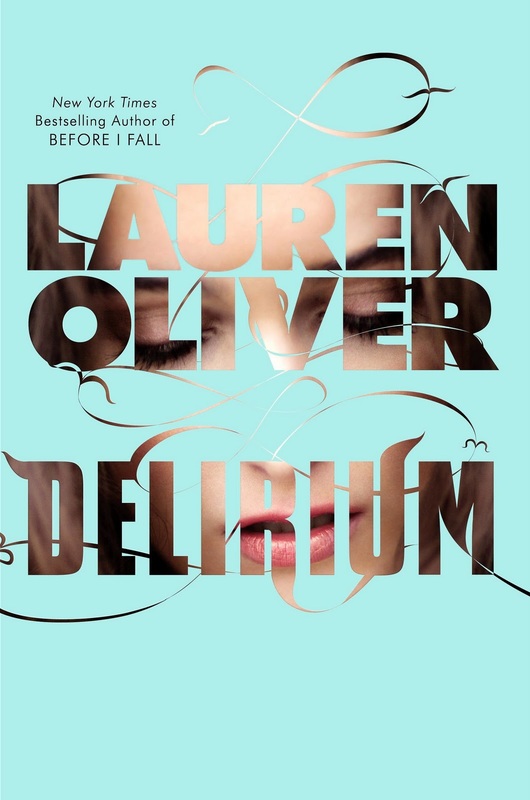 I am currently on a dystopian kick right now and when I had the chance to pick up Delirium from Netgalley, I grabbed the chance because the premise of a world where love is outlawed sounded so interesting and thought-provoking. Lena is eagerly waiting for her birthday to come because it will be the time for her to take the treatment that will finally remove, prevent and excise any signs of the disease called Amor Deliria Nervosa — also known as love which according to her society its the single most destructive emotion to exist, and is the cause of all ills in the past. However cracks start to form within her resolve to live the perfect life that is laid out for her by the authorities. But when she encounters a boy, she soon has doubts about the direction of her preset fate. She soon discovers that love may not be as dangerous as it seems. Seeing through Lena’s eyes about the acceptance and the yearning of her fate without love really lays out what kind of cold, soulless and regimented society she lives in. But as the book progresses the cracks appear within her that wars with wanting to fit in whilst feeling fear and doubts about her upcoming cure which begins to crumble her resolve. Her torn feelings about the tragic fate of her mother and the memories of how affectionate and loving she was to her and her sister was a great juxtaposition. This is illustrated in Lauren Oliver’s writing which is lushly written. I loved how that was reflected in the prose to Lena’s dual nature and feelings, but also showed how stark and colourless her world was. Family bonds are explored and it’s interesting how that affects Lena and more notably her cousin, who reverts into herself to hide and protect herself from her parents’ (Lena’s aunt/uncle & sister and cousin) cold regard, but connects with her emotionally with her. Because she can see through Lena’s hidden feelings about familial love which becomes a an emotional touchstone for Lena – especially in contrast of her lost connection with her own sister who took the cure. Another is that of her friendship with her best friend Hana and throughout the course of the book, Lena realises that this has helped shaped her feelings about love although suppressed and mourns the loss of losing that connection when she has to take that cure. But the real catalyst comes when she meets and interacts the mysterious Alex who brings out suppressed feelings and forces her to realise that while love is a heady, dangerous and reckless emotion, that she was taught it was. It is also one that she is willing to sacrifice everything for because, it has made her feel alive. I loved how that was conveyed and the slow paced romance with Alex really added a lot of depth and an emotional impact on how important those feeling were and for me the romance felt more real. However I really am torn about this book because it is so beautifully written with characters who are so well drawn out and filled with such emotional impact. But at the same time, the more I thought about the premise and the world-building, the more it really didn’t work for me. Because the outlawing of love as an emotion did not have a good enough reason, especially when other emotions such as hate can be more damaging. And there were signs of that in that book which fed other more destructive emotions and it would have made more sense if all emotions were outlawed and suppressed. Nonetheless I did like how religious motives and political angles were implemented into this suppressive society, but I do hope that this is explored in later books because I felt that this would have made a good book into an awesome one. I have to warn you that the ending is a humdinger of a one and I hope this explores the wider repercussion of Lena’s actions as well as explore and explain more of the world-building. Delirium is a very thought-provoking novel; it really delves deeply about what love means and its affects. It also focuses on different types of love: parent and child and between siblings/family and friendship. It shows that a society’s fear of passionate love has created a colourless and soulless life where it feeds ignorance and hate is abundant. But while it does have its flaws and that is primarily its world-building, it was a book that remained with me for a long time and I think it will be the same for other readers and that is a very good thing. Its a very thought provoking book although I had issues with the worldbuilding – I do think that the writing and characterisation makes up for it.